Save time and money with our easy-to-use migration self-service. Migrate emails and calendar items as well as contacts, tasks, notes.1. Migrate your data from any IMAP platform, Google Apps for Work, Microsoft Exchange or Office 365 to Amazon WorkMail. audriga uses state-of-the-art encryption mechanisms like HTTPS to stream the data securely from the source to the destination account. 1 Items can only migrated if supported by the source system and corresponding audriga connector. The audriga migration tool uses the EWS protocol to migrate data to Amazon WorkMail. 2 Gmail consumer accounts are not officially supported. Authentication problems might arise and only emails via IMAP can be migrated. The owner of the mailbox will become the organizer for each of their appointments. Meeting participant status (accepted or declined) will not be migrated. The service tries to resolve system internal addresses e.g. X500 addresses and replace them with valid email addresses. If it is not possible, the addresses will be removed. The service also filters invalid entries like non-valid URLs in Website fields which are not accepted by the destination platform. Emails with attachments can only migrated when attachment size is smaller than 23 Mbytes. Contact profile pictures will be copied as attachments of contacts but will not be shown as profile picture. Distribution lists cannot be migrated. No duplicate detection for note items. If in doubt, we recommend migrating a few mailboxes initially to check the results. Migrate single or multiple accounts. 3 For a limited time, Amazon will pay for your mailbox migration fee when migrating to Amazon WorkMail. Eligible fees include the cost of the service and basic support, but not advanced support or consulting costs. Please note that this offer is valid only for the use of the migration tool, separate charges will apply for Amazon WorkMail usage. You plan to migrate a large number of mailboxes? You need personal support while preparing and executing a migration? audriga offers premium support to assist you in such cases. Consulting for larger migration projects is offered by audriga only in special cases - such as for hosting providers. However, we are happy to recommend migration consultants from our network of partners. Learn how to migrate from Office 365 / Exchange Online to Amazon WorkMail. 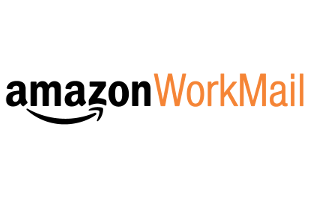 Learn how to migrate from Google Apps to Amazon WorkMail. Learn how to migrate from Mircosoft Exchange to Amazon WorkMail. Learn how to migrate from any IMAP system to Amazon WorkMail. Please go to our Knowledge Base for additional and provider specific information like throttling. Before you can start migration we need a few more information from you. Please fill-out the following form. We will then check your migration request and get in touch with you.